This blog post is a little late, but life has been getting on top of my lately and I’m a bit behind with everything! Christmas is a time when lots of people consider giving to charity, which is absolutely wonderful. I thought I’d do a little post with a few suggestions of places you could donate to. I know that York Hospital are currently accepting present donations for the elderly who are in hospital over the Christmas period (here is the press article). I imagine that other hospitals are doing similar (if you don’t live in York). We bought a few boxes of chocolates and gift sets the other night and we’re going to drop them off later this week. It’s not something that costs very much but it can make the world of difference to someone in hospital over Christmas. (Update: gift collection at York Hospital has been halted due to an overwhelming response, but I imagine there are many other places who would appreciate gift donations!). We are still currently collecting for Martin House, to replace the lights in the corridor of the children’s bedrooms in memory of Mum. If you’d like to donate to this fund, you can do so here. We are leading the YCR collection this Christmas. They’re encouraging people to share treasured memories and donate in memory of a loved one. You can see more on their campaign here and here. I’ve also included the letter I wrote to lead this campaign below. 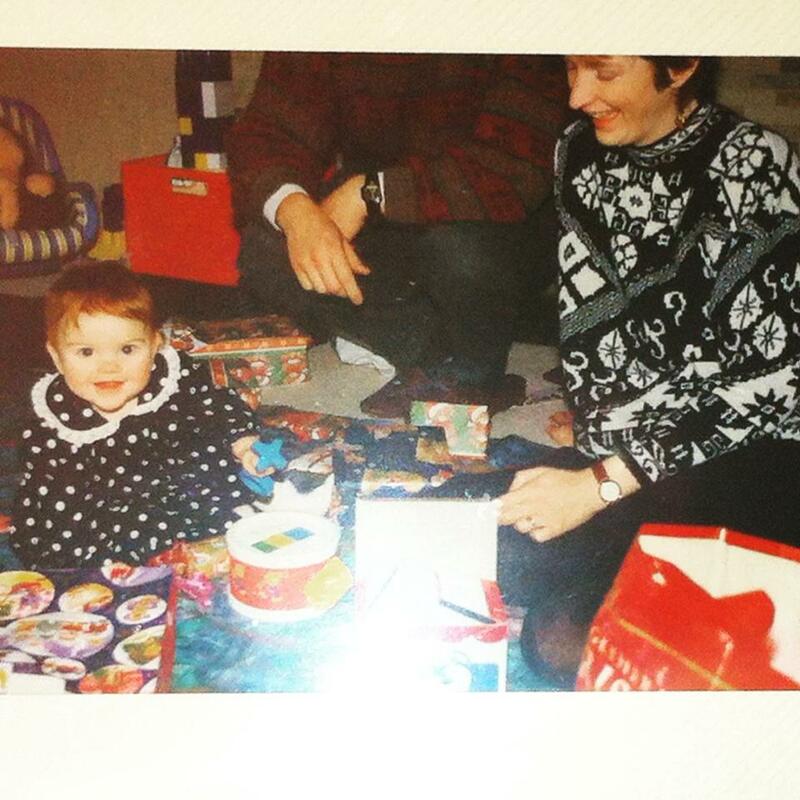 I used to love Christmas. Mum would start the preparations in October half term with baking the cake. It would fill the house with wonderful smells, marking the transition from summer to winter. The cake baking would closely be followed by weekends spent cooking mincemeat, baking and freezing batches of mince pies and the odd Christmassy pudding. We used to alternate our Christmases – one at home, one with Mum’s family. Years at Mum’s family’s house were a little quieter, we would often pop in on other relations over the festive period, but Christmas day itself would just be me, my brothers, my parents, my Grandad, Aunt and Uncle. Years at home were a little more chaotic – Mum was usually ‘on call’ (she was a consultant in palliative medicine, or end of life care to you and me), so she would often be on the phone to hospitals or hospices and would occasionally have to pop out. The house would always be full, often reaching 20 people by Christmas day – rarely would there have been under ten people in the house over the whole festive period. The last time we had that many people in the house was for Mum’s funeral. Mum was diagnosed with breast cancer in August 2012. She found it early, had a lumpectomy followed by preventative chemotherapy and radiotherapy. Spring 2013, she was given the ‘all clear’ and started on Tamoxifen, a drug developed by Yorkshire Cancer Research, which helped to keep her in remission. Unfortunately, Mum’s cancer came back. In February 2014, she was diagnosed with terminal cancer; she died in October 2015 aged 53. Mum asked for money given at her funeral to go to Yorkshire Cancer Research. I knew that Mother’s Day this year was going to be difficult, so I knew that I needed to do something positive. That’s when I set up ‘Memories about Mums’ – a way of fundraising for YCR, but also a space for those of us who are motherless to share our memories and celebrate our Mum’s lives. Living without Mum is hard; I miss her every day. I miss texting her, seeing her dance around the kitchen whilst cooking or baking, and spinning on the spinny chair in her office – distracting her from whatever work she was trying to do. Mum has helped make me the person I am today. She was always busy, always up to something, often helping other people, and that’s something that I will always look up to. The festive period doesn’t make that grief any easier. Nobody teaches you how to cope with grief – there’s no guidebook or manual to get you through it. One of the things that helps me, though, is to direct that grief into something positive, whether it be writing, fundraising or helping others. The blogs I write won’t bring Mum back but might help someone else in the same position, and any money I raise won’t bring Mum back, but will fund vital research which could prevent others in Yorkshire from also having to have Christmases without their Mum. It would be lovely, if this Christmas, we could extend ‘Memories about Mums’, and share memories of all the loved ones who won’t be with us this Christmas, whether that be through a donation in their memory, or a donation of the amount you would have spent on a Christmas present for them. Together, we can help to tackle cancer in Yorkshire. It’s my brother’s bithday today. He’s 21. Does that make him officially an adult? If it does then the world should probably be a bit scared. He’s down in Oxford loving life/studying/whatever it is you do down there. It’s his first bithday away from us. I’ve sent many things in the post (a blog for another time). J’s cake last year (before Mum stole a strawberry lace…). Last year we had a party for J’s bithday. We did it the Friday before Mum died. We made homemade pizzas. I made Mum a tiny one with everything on top of it chopped up into teeny pieces. We made J a cake and Mum stole a strawberry lace off the top. She couldn’t move out of her chair independently, and slept a lot, but she was very much in the room. It’s the most lucid I remember her in those final weeks. It’s the last time I remember her eating solid food. A day or two later, she stopped getting out of bed at all. A week later she died. Dad asked me what they did for my 21st, when trying to decide what to buy J as a present. I got a Pandora charm from Mum and Dad. I spent the day working on a residential and Mum and Dad came over in the evening. We managed to find a restaurent with good enough disabled access for Mum to manage. A month later we had a cake. It was my last birthday with Mum. A few weeks before my 21st, Mum went into a coma. I remember Dad saying that maybe it was a good time for her to die. It had been very quick. My birthday could be something positive to look forward to after the funeral. I never have been one for making a big deal of my own birthday (though I love making a big deal of others), but I felt even less like doing anything that year. In the end Mum woke up and lived another 8 months. This year I didn’t do anything at all. 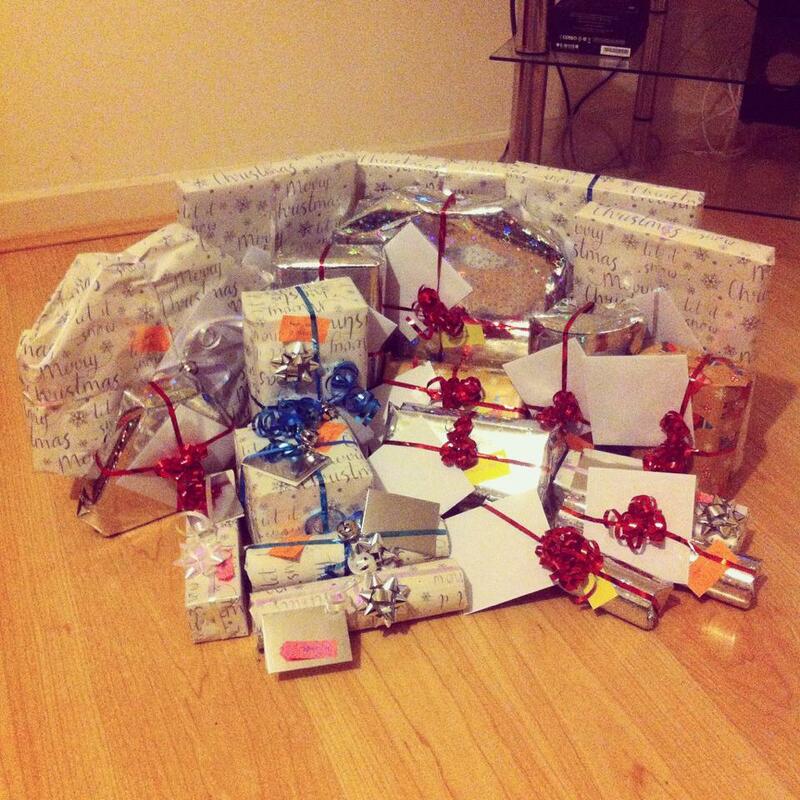 I don’t know what Mum would have done for J’s birthday this year. I don’t know whether ‘well Mum’ would have made a big deal of 21st birthdays. There’s a lot I don’t know. We’re currently fundraising in memory of Mum, one year on. Here is where you can donate to Mum’s ‘one year on’fundraising page online.